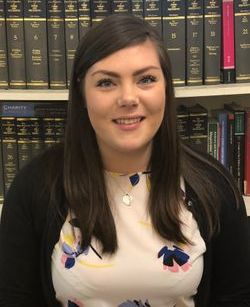 Melissa joined Gartsides in February 2018 after working in a Cardiff Law firm in their family department. She worked mainly on child care proceedings matters, acting for the local authority, for two years before moving to Gartsides. Melissa now works alongside Lydia Davies in our Ebbw Vale office and undertakes both private and legal aid family matters. Melissa graduated from the University of Reading in 2016 and is currently completing the Legal Practice Course at De Montfort University. Upon completion in August 2018 she will begin her training contract with Gartsides and will be qualifying within our family department.